Let me be brief. This is easily the most dismal allegedly “jazz recording” I have ever heard. Shoddily produced – the sleeve (mis)information, partly in red, is partially obliterated by a black overlay of what appears to be a mountain – and some of the musical instruments are not identifiable. A melancholy mood pervades throughout and makes for soporific listening. The only textual intelligence offered is that on … “In Japanese and Greek signifies ‘sound’ and ‘sentient being’ respectively. 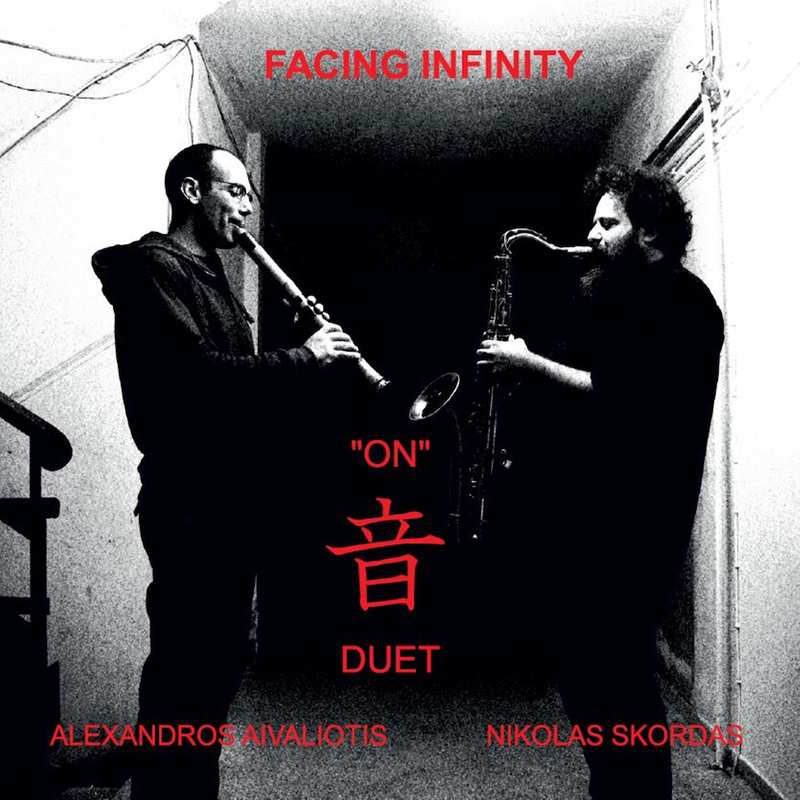 It is the raw approach to sound via soprano sax, tarogato and shakuhachi flute.” Tell it like it is. “Special guest” Sophia Koroxenou is presented ambiguously as a “Byzantine voice” and is certainly not a Lena Horne. To these untrained ears, every seemingly interminable track sounds monotonously and drearily alike. But what do I know? Perhaps I’m missing something, could it be jazz? Skordas (ss, f, pc); Aivaliotis (jiari shakuhachi, jinashi hocchiku); Sophia Koroxenou (v). Thessaloniki, 6 February 2018. "...the most dismal allegedly “jazz recording” I have ever heard".